World renown marimbist, Naoko Takada has toured the world and US performing solo recitals in such venues as Carnegie Hall, Konzarthaus in Berlin, the Kennedy Center in Washington D.C., the Lincoln Center in New York, and Suntory Hall in Tokyo. She is chief judicator for the Southern California International Marimba Competition and will judge the International Marimba Competition in Italy later this year. The Time Picayune quoted as saying “No one needs a critic when an audience leaps to its feet, calling a star soloist back for three encores." Takada’s talent was first apparent at age eleven when she was selected to perform a concerto with the Tokyo Symphony Orchestra and has since performed with many orchestras such as China National Symphony Orchestra, Orchestra of St. Luke, Houston Symphony, Louisiana Philharmonic, Xalapa Symphony, and West Los Angeles Symphony. She has also appeared as a guest artist for the Percussive Arts Society International Convention, and NAMN show in Anaheim. In 2004, she played in the “Wall of Gang Camp Gala” hosted by Paul Newman and shared a stage with Hollywood stars Bruce Willis, Meryl Streep, and Danny Glover. In her free time she devotes herself to educational outreach programs such as Midori and Friends in New York City. In 2002 Ms. Takada won First Prize in the Young Concert Artists International Audition, and presented her New York debut at the 92nd Street Y, sponsored by the Peter Jay Sharp Prize. 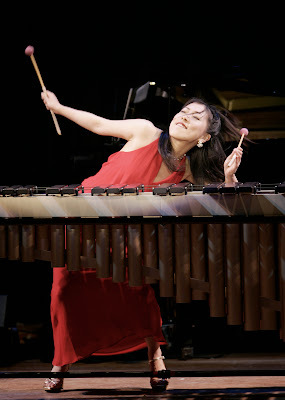 In May 2004, Ms. Takada performed the New York premiere of composer Kevin Puts’ Marimba Concerto with Leonard Slatkin conducting the Orchestra of St. Luke’s in Lincoln Center. In 2006, she was awarded the S and R Washington Award by the S & R Foundation, a prize that supports artists who contributes to cultural understanding between the U.S. and Japan. Her other awards include First Prize at the 2002 Houston Symphony Ima Hogg National Young Artist Competition, First Prize at the 2001 Sorantin Young Artists International Competition in Texas, the Marimba Special Prize at the 2001 IBLA Grand Prize International Competition in Italy and First Prize in the 2000 Japan International League of Artists Competition in Tokyo. 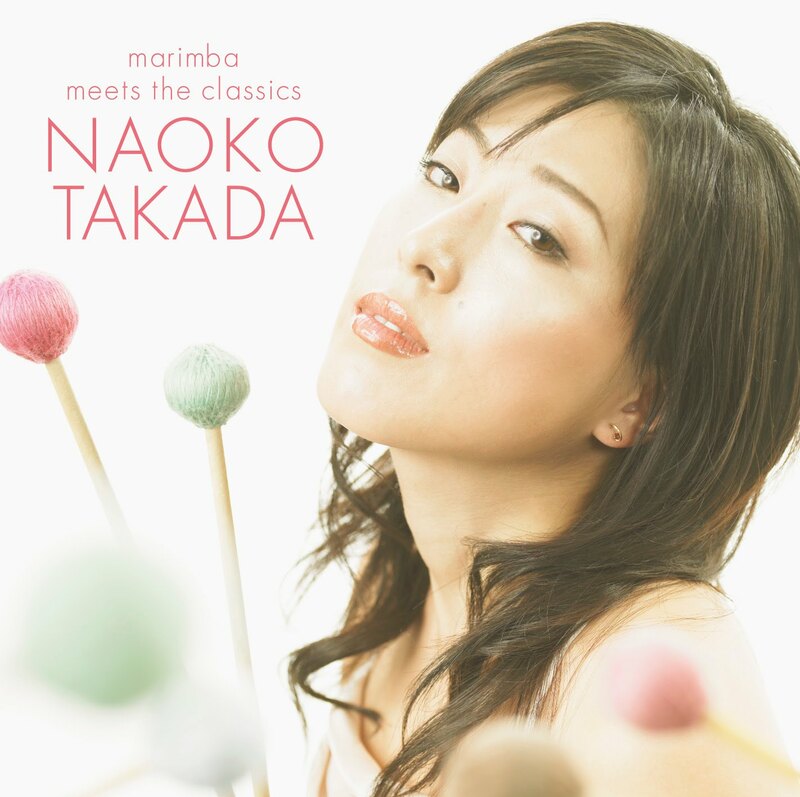 In 2007, Ms. Takada signed with Japanese recording label Victor Entertainment and released her first solo Album, "Marimba Meets the Classics.” . In its review CD Baby exclaimed, "Naoko's gift for this instrument comes through in both her exquisite and delicate touch as well as the excitement that she pours into each piece." In Japan growing up, Naoko studied marimba with Akiko Suzuki and Keiko Abe. She later came to the United States and studied with Karen Ervin Pershing at the California State University in Northridge where she earned a Bachelor in Music. She then earned a Master of Music from Ithaca College working with Gordon Stout. Later she had studied with Nancy Zeltsman in Boston. As a Yamaha performing artist and clinician, Naoko Takada has taught at hundreds school over the USA and the world including the Manhattan School of Music, Indiana University, and the Cleveland Institute. She has her signature series of mallets available from Encore Mallets Inc. Her arrangements and commissioned works are available through Studio 4 Publications as the Naoko Takada series. Along with her solo concert tours and master classes, she devotes time teaching with such organizations as Belgium International Marimba Academy, Taiwan Ju Percussion International Summer Camp, Idyllwild Summer Camp, Argentina International Percussion Festival, Zeltsman Marimba Festival, KOSA Percussion Festival, and the annual YAMAHA sounds of summer program. She is the chief judge for the annual Southern California Marimba Competition in CA. She lives in Los Angeles and teaches privately for her spare time.